Squarespace is a flexible, template based, website builder that makes designing beautiful, search engine optimized websites faster and less expensive than other platform like WordPress, Drupal and Joomla. Many Squarespace users are often put off because they fear that because it's a template based system, that is bad for SEO. 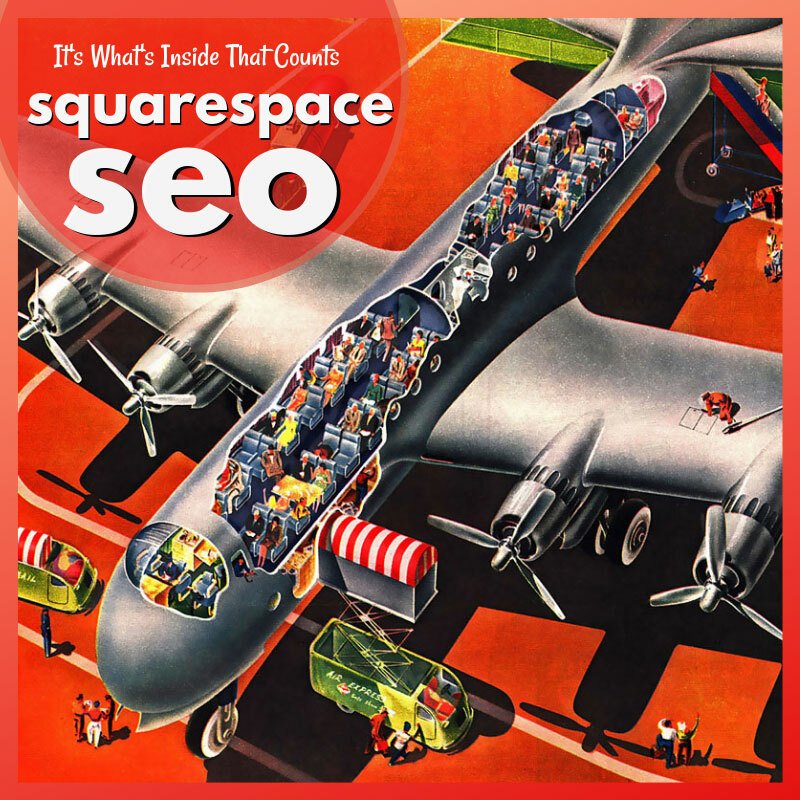 There is no magic behind becoming a Squarespace SEO expert. It just takes a bit of keyword research and knowing where to place those keywords on your website. Squarespace offers you plenty of options to make your site SEO friendly and improve your ranking in Google search results. In this article, we will cover the basics. By employing these Squarespace SEO best practices and expert recommendations, you can optimize your website and improve your search engine rank and get found easier online. SEO consists of several important steps that when done consistently can work to improve your ability to be found by the search engines. For example, using best practices like publishing new content regularly, adding alt tags to images, using keywords and phrases, optimizing photo sizes to reduce download times, and other techniques can increase your ability to rank on the search engines and get found online. To make SEO easier, Squarespace has designed blocks that when filled in, are turned into code, or placed in the proper place on your pages to optimize them for search. Each page should include a title, meta description, alt tags, and other identifiers which can all be accessed when creating the page. Placing keywords at a 1.5% insertion rate in your body copy text blocks on the your pages work to identify your page for the search engine spiders. One area that is critical to optimizing your site is to make sure you add the keyword phrase to your site title and page description. This is found under the Settings/Marketing/SEO menu. Here you'll include your Site Title, or your logo if you have one. Some companies and designers choose to keep their business name in this field,however you can maximize its SEO value. Like page titles, your Site Title can be up to 60 characters long including spaces. Best practice is to use essential keywords if your name isn't too long. Use title case (capitals as the first letter of each word) to make them distinctive for search. Next is your site Meta Description also known as the Page Description in Squarespace vernacular. This is a short (50 – 300 character) description of your business. What is displayed depends upon the search engine, but try to keep it concise and short (156 characters). Also, try to use important keywords near the beginning of this section if you can. The following SEO opportunities can typically be accessed in the basic area of your page settings, but they're also spread around in various other areas on the site depending on what type of page you're on – blog, gallery, event, etc. Always check for these additional SEO opportunities in the Options area and add them as necessary. • Place keywords in a variety of locations. Use keywords in page titles, descriptions, alt tags, and anywhere else you have the opportunity. This can help engines with relevance which is used when ranking your page. • Add social sharing images and SEO descriptions. As you add pages to your site add social sharing logos and links and SEO descriptions. • Add tags and categories to your content. This is especially important on blog pages for helping your readers find related content when searching. This is visible below left on the edit content page. By organizing products, blog postings, gallery images and other content using categories and tags, your visitors can better navigate your site improving the user experience, and SEO. • Linking to other pages within your site that contains relevant content can boost SEO. It's also a great way to keep visitors on your website. The longer they stay and engage the more trust you'll build and the more you'll know about your visitors. • Customize your URL slugs. As you add pages to your site, products and collection items ensure that their page URL reflects the contents of the page. This is especially important if you duplicate a page, as the URL will not be relevant to the new page. If you're building a new site, check every link across the site to make sure they are directing your visitors to the proper page. This is also a factor in SEO. • Rename image file names, add alt tags and descriptions. These are all valuable SEO real estate. Image files with names like “img34657.jpg” are useless in terms of SEO. Renaming your image “bathroom remodeling in Phoenix” can improve your ability to get found in image search. To edit images, simply go to the specific page or gallery, click edit on the image block, or the cog icon on the image and rename the file. There will be cases when you don’t want search engines to index a page. Examples include old blog pages you may have updated with a new article, certain pages in your sites index, and hidden gallery pages you are using to feed summary blocks on your site. Pages that are in the Not Linked can still be indexed by search engines. To prevent search engines from indexing these pages use the noindex tag to keep the search engine spiders from seeing them. This approach does not guarantee that search engine robots will not crawl your page. The only way to do that is with a password protected page. But using the noindex tag will discourage search engines from indexing the page. UPDATE: Squarespace now allows you to prevent pages from being indexed by search engines by clicking on a setting in the Settings SEO Tab. Here’s what they have stated. SEO is essential to being found online. To help customers find you and your clients, we’re giving you more control over how website content appears in search engines and on social channels by adding new SEO options in page settings for all page types. If you are going to write custom code for your Squarespace website make sure you have an understanding of how Squarespace treats custom code. You also need to know that Squarespace can't help you with writing or troubleshooting custom code., There are many experts and resources available that can point you in the right direction. At Means of Production, we're Squarespace experts who understand how to customize and optimize your Squarespace website. We've designed beautiful and effective websites for our clients in the design-build, architectural, landscape and interior design industries and know the SEO tricks that get their websites found online. We can do the same for you! We're always happy to answer any questions you might have, so feel free to give us a call at (603) 289 – 6616.